Mild mannered Judy Geib has an elegant demeanor and twinkling eyes that give just a glimpse into her adventurous soul. Like a female Indiana Jones, she travels the world in search of the perfect gemstones. For Paraibas, rubies, sapphires, aquamarines, kunzite, pink and green tourmalines, she makes excursions to the wilds of Brazil. Judy’s favorite place to find emeralds is Colombia. While the country is safely visited by Americans, the U.S. State Department has an official warning to keep a head’s up for the various dangerous groups there. After a few meetings with the dealer, Judy received a call from his wife saying he had passed away. It was at that moment that Judy made the decision she would go to Colombia for emeralds rather than having the gems brought to her. Why make the extra effort? As for the actual buying of emeralds in Colombia, Judy works directly with her dealer’s widow and hires her to go to other buying sessions as an interpreter. “She’s great, and she understands me completely. She knows that I want the unexpected. 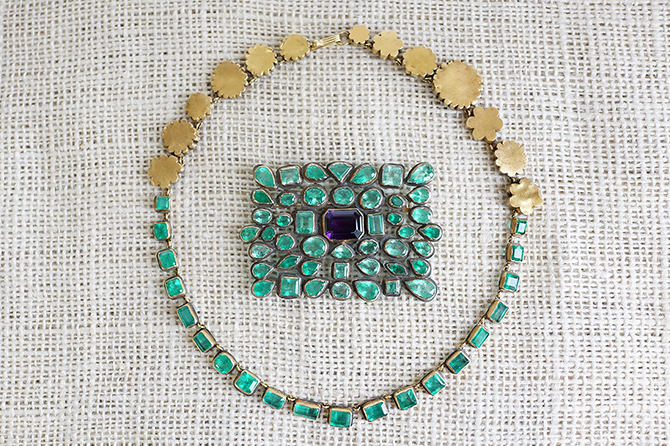 She tries to help me get the practical as well as the impractical.” Judy buys emeralds individually, hand selecting each stone and she buys groups reviewing the entire parcel. 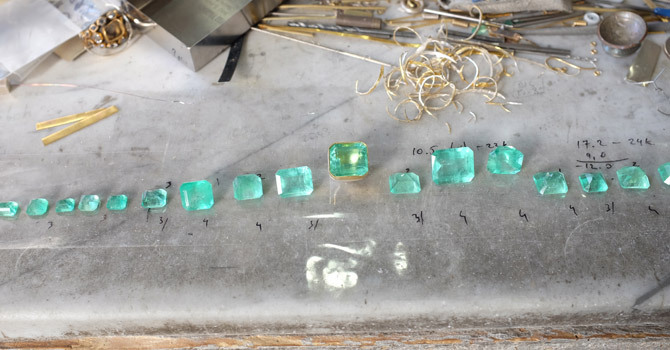 Emeralds lined up on the bench in Judy Geib’s studio. Judy traces her rock hound tendencies back to childhood. Growing up in Pennsylvania, she collected minerals on mountain hikes, and sometimes while digging in her backyard. Her passion for stones grew when her backyard became Brazil where her family lived for a period while Judy was a teenager. After studying fine art and working as a book designer, she realized she wanted to pursue her passion for the arts and gems and started to design and create her own fine jewels—manufacturing them herself. 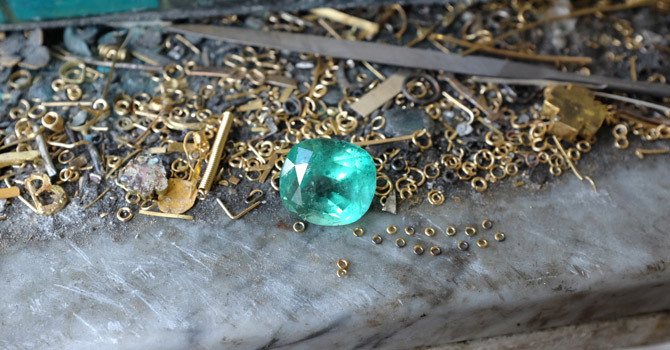 An emerald on the workbench in Judy Geib’s studio. Judy mounts emeralds in yellow gold. Almost all of her pieces have oxidized silver on the back, a nod to 19th century jewelry. 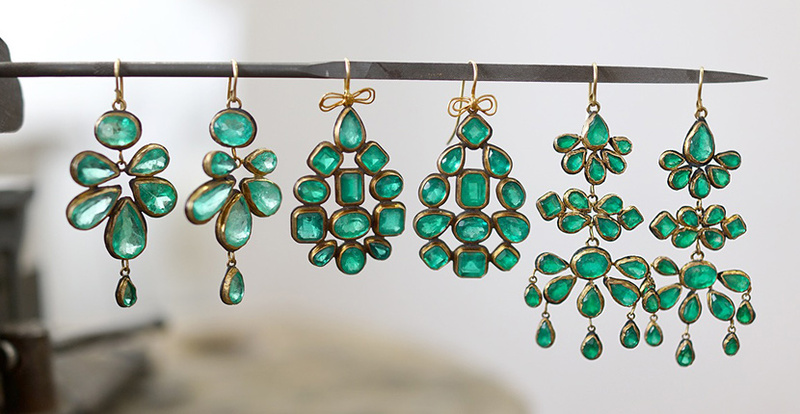 “I like early work, and I like it to not be too gold.” The range of her emerald creations goes from chic cabochon studs set in hammered yellow gold with a halo of enamel to large and sumptuous chandelier earrings and rivière necklaces. 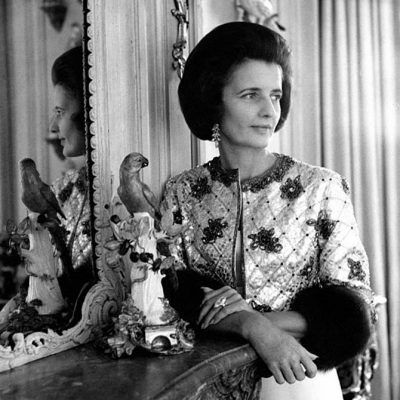 Similar in spirit to the renowned French jewelry designer Suzanne Belperron who flourished during the thirties and forties and is highly regarded as one of the most artistic talents to have ever worked in the field. Judy strongly believes in her own imaginative ideas, “I find it’s good not to know too much about what everybody else is doing, and what is going on, because you have to try and go down your own path.” Both women view stones with an appreciation that few have the courage to possess, finding beauty in gems that others overlook then transforming them into designs that are impossible not to notice. 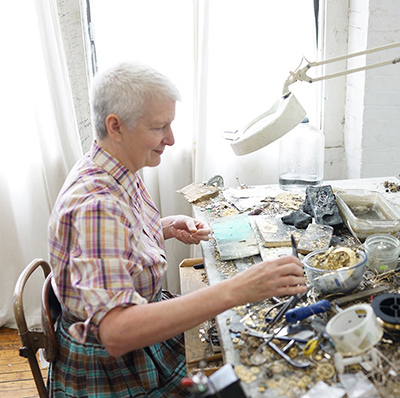 Judy Geib working on jewels in her New York studio. 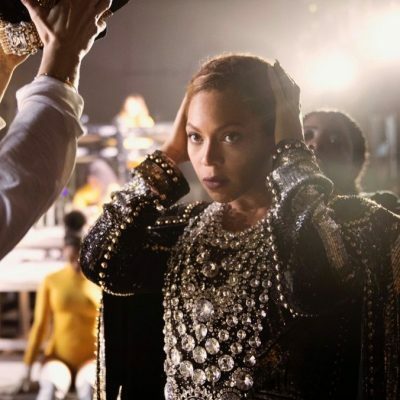 When asked if she believes in the magical powers of gemstones, Judy confessed “I love feeling good when you’re wearing something, but I don’t know if it’s due to the power of gemstones. I can’t really say I believe in that. But I love that you can wear something, feel good, and it gives you strength.” For me the magic was present in the emeralds and the jewels. When I interviewed Judy I had a bit of a cold. The sniffles disappeared the second the gracious designer gave me the opportunity to try on a pair of her emerald earrings set with two large gems weighing almost 39-carats in total. They immediately made me feel alive, and healthier than ever before. The power of the gemstones even made me understand Judy’s courage to travel to Colombia to collect just the right gems.